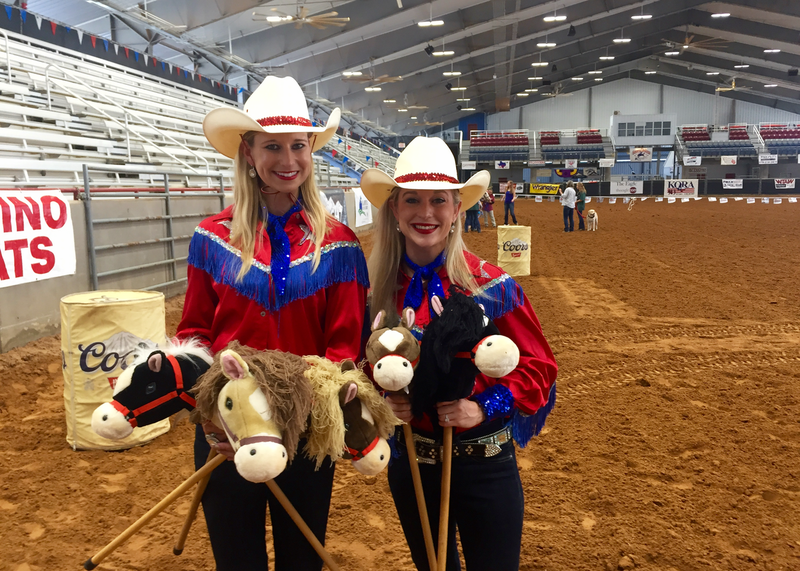 Soon after the last school bell rang in the 2017-2018 school year, Kylie Bradfield, Houston Elementary second-grade teacher, and Rachel Ibarra, Ross Elementary first-grade Explore Academy teacher, traded in their teacher’s desk for a horse as members of the Catalena Cowgirls. What followed was an intensive schedule of riding with the performance team at rodeos and festivals across the state. This is Bradfield’s second summer riding as a Cowgirl and Ibarra’s first. Ibarra said the team’s training schedule takes up most of her time during the summer, but said, “it’s time well spent.” She said that she couldn’t wait to tell her students about the experience when the school starts back in August. Bradfield, who has helped mentor Ibarra in her first year with the team, said the experience of riding with a fellow Bryan ISD teacher has been rewarding. Both teachers performed in the Bryan Breakfast Lions Club PRCA Rodeo over the weekend and are warming up for their next performance at the Fiestas Patrias Festival and Parade Sept. 16 in Downtown Bryan. The Catalena Cowgirls are a precision rodeo drill team in the Sammy Catalena Rodeo Company, which has existed since 1975. The group has appeared at the biggest rodeos across Texas, including the Houston Livestock Show and Rodeo, the Texas Circuit Finals, the Southwestern Exposition and Ft. Worth Livestock Show, and the Heart of Texas Fair & Rodeo. Other events include performances for the World Championship Bull Riding Series, the 2001 Olympic Torch Ceremony, and the World Energy Conference. For more information, visit https://catalenacowgirls.com/.